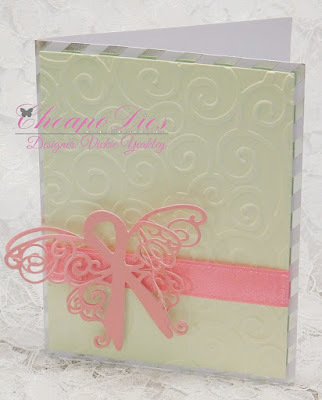 Vickie Y sharing a card using the Exclusive Awareness Butterfly Cheapo Die with you today. I die cut the butterfly twice and layered the cuts together to give the butterfly more dimension. 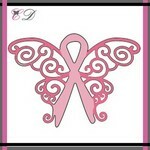 There are so many different colors representing cancer awareness. For today's card I chose to use pink for breast cancer awareness.